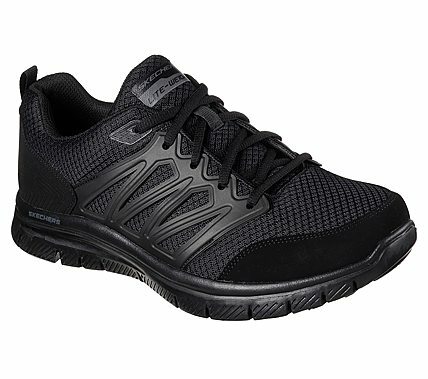 Keep your sporty style comfortable through your whole training session with the SKECHERS Flex Advantage - Sheaks shoe. Soft mesh fabric and smooth synthetic upper in a lace up athletic training sneaker with stitching and overlay accents. Memory Foam insole.